Are you the kind of person who enjoys a little astronomical sightseeing? It's a nice way to relax at the end of a long day — just lean back and watch the sky. If that sounds pleasant to you, there's a semi-rare occurrence on the horizon that you won't want to miss: we're due for a blue moon pretty soon, the first one since 2012. So, when is the next blue moon happening? Luckily, this is one of those questions that isn't very hard to answer. The first blue moon in nearly three years will first appear in the early-morning hours of July 31, at 6:43 a.m. EST, according to The Washington Post. An important note about the blue moon, for any newcomers to the concept: A "blue moon," at least as it's been interpreted in recent years, is the second full moon in a single calendar month. As a result, for there to be a blue moon the first of the two must arrive very early, as it will this year, on the evening of July 1. It's also important to note that, contrary to the name, blue moons generally aren't blue in color, which admittedly is a bit of a bummer. It's a good lesson, though: when you're naming something, don't make any cool promises you can't deliver. Things get a little more complicated when you consider that there are competing definitions of what "blue moon" actually means. As it turns out, the whole "two full moons in one month" thing wasn't what the term meant back when it was first used — as Tucson News Now details, the older, original definition is the third full moon of four in just one season. They report that the modern definition may have first been mistakenly introduced in 1946, and caught hold from there. In other words, be prepared! if you're talking about the July 31 blue moon with an astronomy-loving traditionalist, they might scold you and correct you. But to a great deal of the world July 31 is indeed a blue moon, and honestly, why fight it? Personally, I'm in favor of commemorating as many abnormal celestial sights as we can. 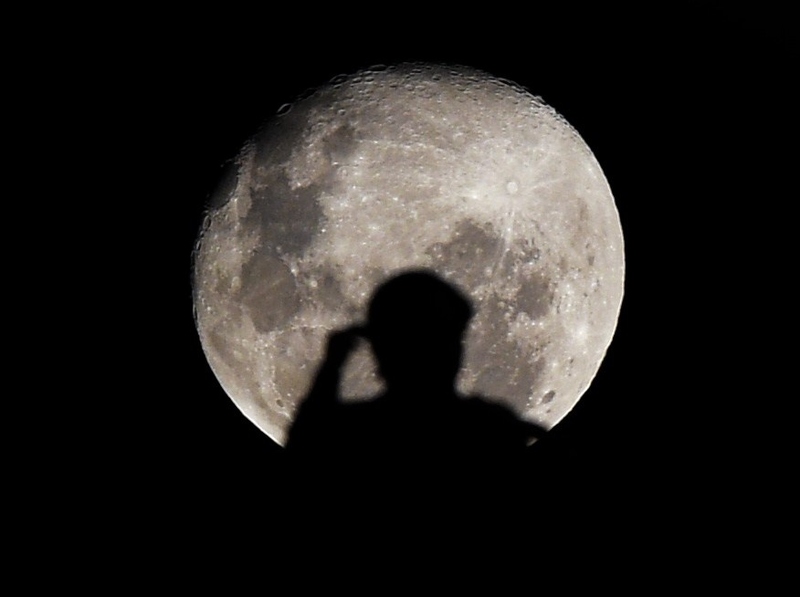 So, to recap: the first blue moon since 2012 will appear at 6:43 a.m. ET on July 31 — that's 3:43 a.m. PT for all you West Coasters, which is a slightly less forgiving time to be awake. Hopefully you don't miss it, because if you do you'll have to wait a while — after this, there won't be a second full moon in one month until 2018.